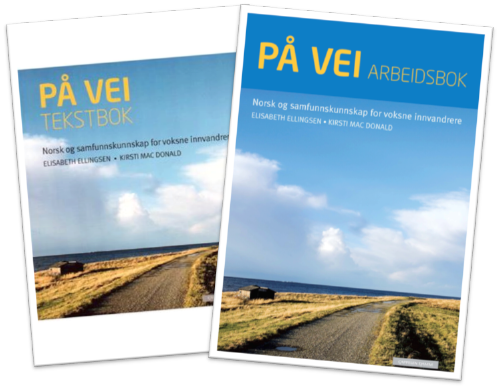 Norwegian Level A1-1 covers Chapters 1 to 5 in the curriculum book “På vei” (2012 edition). This is our first and most basic level, aimed at students that have little or no previous experience with Norwegian. Level A1-1 is focused on the basics of Norwegian vocabulary and grammar. You will for instance learn how to use Norwegian greetings, introduce yourself, ask questions, the weekdays, shopping and food, friends and family – and much more that you need to get by on a basic day-to-day level. Weekday courses last for eight sessions during four weeks. Weekend courses last for six sessions during six weeks. Norwegian Level A1-2 continues where Level A1-1 finished off and covers chapters 6 to 10 in the curriculum book “På vei” (2012 edition). The course content of Level A1-2 is focused on both present and past tense, teaches you more words and ways of expressing yourself, and strengthens your grammatical knowledge further. Norwegian Level A2 continues where Level A1-2 finished and covers chapters 11 to 16 in the curriculum book “På vei” (2012 edition). Level A2 further develops your vocabulary, grammatical skills and ability to engage in simple verbal communication. The Norwegian Level B1-1 course is the first intermediate level course, and continues where Level A2 finished. 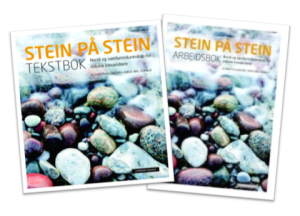 Level B1-1 covers chapters 1 to 5 in the curriculum book “Stein på stein” (2014 edition). Level B1-1 focuses on developing your grammar skills to a practical level, increasing vocabulary further, and will among other things make it easier for you to have conversations. Get a 10% discount and save time by signing up for Norwegian level A1-1, A1-2 and A2 at the same time. You save almost 900,- kroner! Once you have signed up for the package deal using the form, you will receive an automatic confirmation mail with more details. Let us know if you haven’t received it soon after signing up. You decide which courses to take by looking in the course calendar. The final course has to begin no later than 6 months after the first day of the first course. For all levels you will use the curriculum books På vei tekstbok and På vei arbeidsbok. You can buy these in many bookstores (such as the Ark bookstore chain) and on the Internet. * Bygdøy allé 68 (Daytime courses).